According to Law360, Carlo Marinello will argue to the U.S. Supreme Court next month that a vague tax law gives prosecutors power to criminalize anything that makes the IRS' job harder, in a case that could see the high court continue limiting broad criminal laws as it did last year in U.S. v. McDonnell. Marinello was convicted in 2014 for failing to file tax returns for his New York freight business. He was also found guilty of “corruptly” obstructing the “due administration” of the tax code, a crime under the so-called omnibus clause. The Second Circuit upheld Marinello's conviction and then rejected his bid for a rehearing before the full court. Judge Jacobs penned a scathing dissent, comparing the omnibus clause to broad criminal statutes like the one that formed the basis for Virginia Gov. Bob McDonnell's corruption conviction, which the high court overturned last year. Jurors in both McDonnell's and Marinello's cases were told they could find guilt based on a number of acts. Prosecutors had said McDonnell was bribed in exchange for official acts including arranging meetings, hosting events and contacting constituents. Similarly, in Marinello's case, the jury was told it could find him guilty of obstruction for taking any of eight actions, including destroying or failing to keep adequate records and not giving records to his own accountant. The Second Circuit said the verdict stands under the law, and that prosecutors were not required to allege that Marinello acted with knowledge of an IRS investigation. 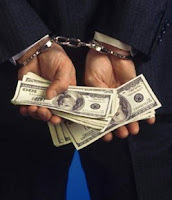 Attorneys who agree with that assessment say the omnibus clause covers not just arguably innocent conduct, but also acts that constitute standalone tax crimes, letting prosecutors do an end run around higher criminal intent standards in those laws. Former tax division head Kathy Keneally, now a partner at Jones Day, said the omnibus clause carries a lower standard of criminal intent than other tax crimes, as the violator only need act “corruptly” rather than “willfully.” The rest of the criminal tax laws are aimed directly at specific conduct like tax evasion, but the omnibus clause is vague enough to cover the same ground, Keneally said. “If interpreted too broadly, the omnibus clause can subsume the rest," Keneally said. "And if you let that happen, you undercut the clear intention of the tax statutes." A judge in a recent case agreed with that line of thinking. U.S. District Judge Richard Leon cut a tax obstruction charge against Patricia Driscoll, the former director of a veterans' charity. Judge Leon said he had found Judge Jacob's dissent in Marinello persuasive, and ruled that violating the omnibus clause requires knowing about and trying to thwart a pending audit — a view the Sixth Circuit has espoused. Not all experts agree the obstruction law is too broad. Jay Nanavati, who worked in the tax division between 2005 and 2012 and now practices at Kostelanetz & Fink LLP, said he’d be surprised if the Supreme Court overturns the Marinello ruling. Nanavati said overlap between criminal laws is the nature of the beast. However, the memo allowed for omnibus clause charges in cases involving “numerous large-scale violations,” like helping a large number of taxpayers file false returns. Cases like that square with the “overall purpose” of the section, “to penalize conduct aimed directly at IRS personnel in the performance of their duties,” the head of the tax division wrote at the time. While the 2004 memo reiterates that the clause shouldn't be used in lieu of other, more direct charges, it notes that tax evaders who try to cover their tracks after the fact can be “punished more severely” than those who have not attempted obstruction. “They must have said, why are we limiting it?” Schumacher said of the broader interpretation. Often referred to as a “one-man conspiracy” charge, the omnibus clause allows prosecutors to bring in evidence of a longer scheme that would not necessarily be admitted for one-off tax charges. Morgan Lewis & Bockius LLP partner Nathan Hochman, who led the tax division after O’Connor, said the omnibus clause allows prosecutors to “fill in gaps” and charge the corrupt actions around a tax fraud. “A lot of the statutes require a tax return as the centerpiece. But they don't encompass the actions before or after to conceal money or falsify documents, particularly if those documents are not submitted directly to the IRS,” Hochman said. Hochman said the division has many "weapons" at its disposal. If the Supreme Court limits use of the omnibus clause, “I don't see it crimping tax enforcement by any significant degree,” Hochman said. That's a scenario that tax prosecutors may want to get ready for, said Schumacher, who thinks the high court will overturn the conviction. "They are taking it for a Reason, and it's Not to Say 'AFFIRMED,'" Schumacher said. The Tax Court in McNeill, 148 TC No. 23 (2017), held that it has jurisdiction under Section 6330(d)(1) to review a notice of determination when the underlying tax liability consists of a penalty relating to an adjustment to a partnership item excluded from deficiency procedures by Section 6230(a)(2)(A)(i). 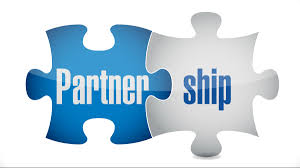 The taxpayer was a partner in a partnership, which was used to invest in a distressed asset/debtor (DAD) tax shelter. 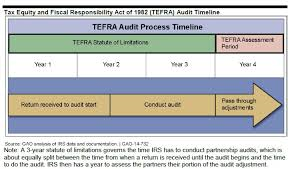 The partnership was subject to the unified audit and litigation procedures of Sections 6221-6234, commonly referred to as the TEFRA provisions. The IRS issued the partners a notice of final partnership administrative adjustment (FPAA) for 2003, reflecting an $11.5 million adjustment to partnership items and imposing an accuracy-related penalty under Section 6662 in regard to a claimed loss from the DAD transaction. The taxpayer filed a partner-level proceeding in the district court and made a payment satisfying the deficiency and interest but not the Section 6662 penalty. The proceeding was dismissed without a ruling on the partner-level defenses to the penalty. The IRS sent the taxpayer and his spouse, as joint filers, a Form 3552, Corrections of Math Errors on Returns Involving Quick and Prompt Assessments, showing a penalty of $1.5 million plus accruing interest. The IRS also later issued a notice and demand for payment, a notice of intent to levy, and a federal tax lien filing to collect the accuracy-related penalty. Shortly thereafter, the taxpayers submitted a request for a collection due process (CDP) hearing challenging the Section 6662 penalty. The IRS sustained the collection actions against the taxpayers and the couple timely petitioned the Tax Court. The Tax Court noted that, under the TEFRA rules, the court would not have jurisdiction to review the penalty asserted against the taxpayers where it was based on a partnership-level adjustment to partnership items. However, it found that, in 2006, Congress expanded the Tax Court's jurisdiction in CDP cases where it otherwise lacked jurisdiction over the underlying liability. Specifically, Section 6330(d)(1), as amended by the Pension Protection Act of 2006 (PPA), expanded the court's jurisdiction to review all notices of determination issued under Section 6330 (and Section 6320 via a cross-reference in Section 6320(c)). The court concluded that, as amended, Section 6330(d)(1) provides it with exclusive jurisdiction over CDP cases. Further, the court noted that, on multiple occasions, it has addressed the expansion of its jurisdiction to include review of collection determinations regardless of the type of underlying liability. In each of those cases, the court concluded that although it lacked original jurisdiction over the underlying liability, nonetheless had exclusive jurisdiction to review appeals from the Service's lien and levy determinations. The court also said that Congress created the CDP process to provide taxpayers who are confronted with a lien filing or a proposed levy the opportunity to contest that collection action before the IRS proceeds to collect the outstanding tax liability. The court stated that it follows that when Congress amended Section 6330 in 2006, making the Tax Court the exclusive venue for review of CDP cases, its intent was not to preclude from review certain issues not subject to the court's deficiency jurisdiction. Thus, the court concluded that the taxpayers' accuracy-related penalty was another example of an item not subject to the Tax Court's deficiency jurisdiction under Section 6221 but, nonetheless, reviewable by the court in the context of its Section 6330 jurisdiction. 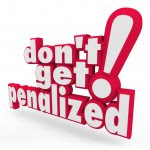 Do You Penalty Abatement Advice? Online Poker Accounts Not Subject to FBAR But Payment Processing Account Is. In U.S. v. Hom, (CA 9 7/26/2016), 118 AFTR 2d ¶ 2016-5057 the Court of Appeals for the Ninth Circuit, affirming in part and reversing in part a district court decision, has found that one of three accounts a taxpayer maintained to facilitate online poker was with a financial company and had to be reported on a Foreign Bank and Financial Accounts Report (FBAR). weren't financial companies subject to FBAR reporting. IRS assessed Hom with 31 USC 5321(a)(5) penalties for his failure to submit FBARs regarding his interest in his FirePay, PokerStars, and PartyPoker accounts. 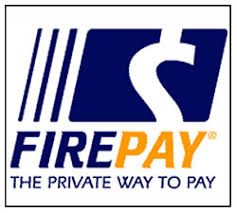 The district court found that Hom's accounts with FirePay, PokerStars, and PartyPoker had to be reported on an FBAR. (U.S. v. Hom, (DC CA 6/4/2014). Hom admitted that he opened up all three accounts in his name, controlled access to the accounts, deposited money into the accounts, withdrew or transferred money from the accounts to other entities at will, and could carry a balance on the accounts. 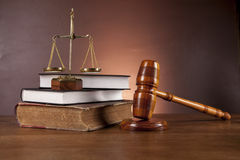 Thus, the district court held that FirePay, PokerStars, and PartyPoker functioned as banks, and Hom's online accounts with them were reportable. As to whether the accounts were located in foreign countries, the district court agreed with IRS,“located in” refers to where the financial institution that created and managed the account is located. It said that it was irrelevant where PokerStars, FirePay, or PartyPoker opened their bank accounts; these accounts belonged to them, not Hom. Rather, his accounts were digital constructs that these financial institutions, all located outside of the U.S., created and maintained on his behalf. The court said that the Treasury had reasonably interpreted the statute in finding that an account's location is determined by the location of its host institution, not where the physical money might be stored after it is sent to a financial institution. Hom appealed and the Ninth Circuit, agreed with the district court, that Hom's FirePay account fit within the definition of a financial institution for purposes of FBAR filing requirements because FirePay was a money transmitter under 31 USC 5312(a)(2) . On the other hand, the Court found that PartyPoker and PokerStars primarily facilitated online gambling. Hom could carry a balance on his PokerStars account, and indeed he needed a certain balance in order to “sit” down to a poker game. But the funds were used to play poker, and there was no evidence that PokerStars served any other financial purpose for Hom. His PartyPoker account functioned in essentially same manner. The Ninth Circuit rejected IRS's argument that these entities were functioning as banks. Because neither the statute nor the regs defined banking, the Court looked to the plain meaning of the term. 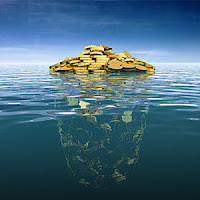 It determined that there was no evidence that PartyPoker and PokerStars were established for any of the purposes of a bank; it defined “bank” as an establishment for the custody, loan, exchange, or issue of money, for the extension of credit, and for facilitating the transmission of funds. Rather, accounts at PartyPoker and PokerStars were established for the purpose of facilitating poker playing. Do You Have an FBAR Problem? According to Law360 a Washington federal judge on October 6, 2017 declined to toss the U.S. government’s suit accusing a man of willfully failing to disclose foreign bank accounts, finding that the allegations could reasonably lead the court to infer that the man understood IRS reporting requirements. 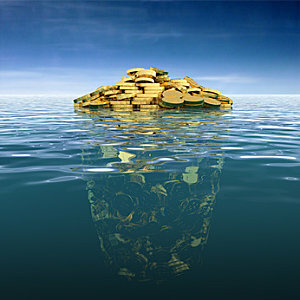 In denying Jeffrey P. Pomerantz’s motion to dismiss the case, U.S. District Judge Marsha J. Pechman found that the government had alleged enough to allow the court “to draw the reasonable inference” that Pomerantz willfully failed to report his accounts with the Canada Imperial Bank of Commerce to the Internal Revenue Service in a Foreign Bank and Financial Accounts form. Judge Pechman noted that in an amended complaint, the government had contended that Pomerantz filed timely FBAR forms for the accounts a handful of times before he stopped reporting them. “This allegation is sufficient to demonstrate that Mr. Pomerantz understood the reporting requirements regarding the CIBC accounts long before 2007, the first year that the government alleges Mr. Pomerantz willfully failed to report his income in these accounts,” Judge Pechman said. Pomerantz, a U.S. citizen who is currently residing in British Columbia, Canada, was sued by the government in May 2016. In their complaint, government attorneys alleged that Pomerantz owed a little more than $860,000 in penalties for failing to timely file an FBAR form reporting his interest in foreign bank accounts for 2007 through 2009. The accounts at issue include two personal accounts Pomerantz opened in Canada with the CBIC and Swiss bank accounts held by an entity called Chafford Ltd., which the government claimed was a shell company Pomerantz used to hold his personal investments. U.S. District Judge James L. Robart, who was overseeing the case before Judge Pechman, tossed the complaint in June. He found that the government did not sufficiently allege that Pomerantz acted “willfully” in his failure to file FBAR forms regarding his personal CBIC checking accounts or that Pomerantz was aware of the reporting requirements. However, Judge Robart did find enough facts to support the contention that Pomerantz sought to evade reporting requirements by creating bank accounts for Chafford. Judge Robart also gave the government another chance to make a case regarding the CIBC accounts. Judge Pechman on October 6, 2017 also said that in the government’s amended complaint, there are additional allegations, including ones regarding Pomerantz’s tax returns for the years at issue, which report some of the income from the CIBC accounts, but not “higher maximum” balances, that also support the inference that Pomerantz knew his conduct was unlawful. “The government’s amended complaint therefore pleads sufficient factual content to allow the court to draw the reasonable inference that the defendant willfully failed to file FBAR forms for the CIBC accounts,” Judge Pechman said. Pomerantz, who is pro se, had urged Judge Pechman to dismiss the amended complaint, in part because he argued that the court lacked personal jurisdiction over him. However, Judge Pechman found he had waived that defense because he did not bring it up earlier. In addition, Pomerantz had contended that the government is barred from raising the same claims that it lodged in the original complaint. However, Judge Pechman noted that the government “correctly argues” that the res judicata and collateral estoppel doctrines preclude relitigating issues that were covered in a final judgment, but a dismissal without prejudice does not qualify as one. Pomerantz had also urged the court to strike from the amended complaint the government’s references to what he said was “an unrelated” case before the U.S. Tax Court. The case is U.S. v. Pomerantz, case number 2:16-cv-00689, in the U.S. District Court for the Western District of Washington. 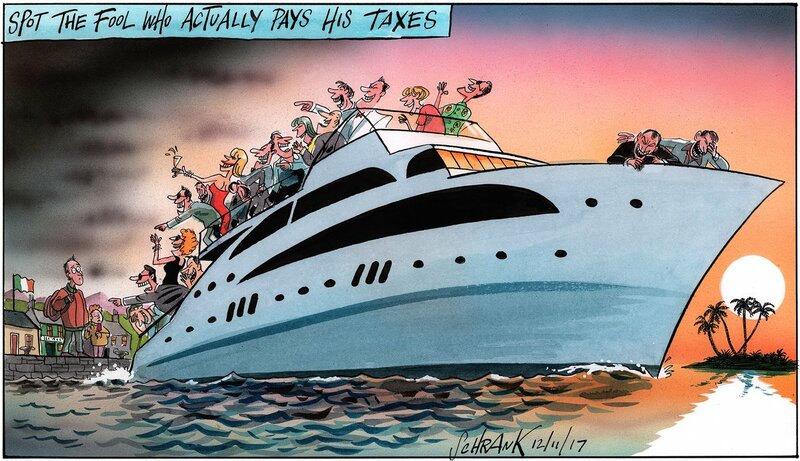 Undeclared Income from an Offshore Bank Account?